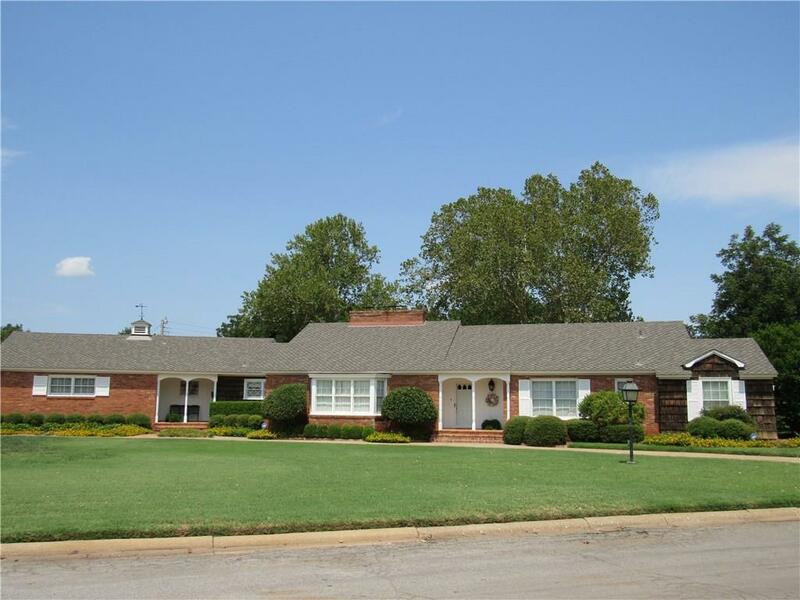 1800 Hudson, Altus, OK.| MLS# 832658 | CENTURY 21 Altus Prestige Realty, Inc. This custom built home is one of a kind here in Altus. Features 3 living areas, den and huge brick fireplace, formal living area and fireplace, and a bar area with builtin seating. 3 large bedrooms and 3 full baths. The kitchen has very unique cabinets and double oven, electric cook top and sub zero refrigerator. Big garage with storage above and a walk in mechanical room with floor drain. The large corner lot is all of lot 15 and part of lot 14 so there is plenty of room. Circle drive and much more. You'll need to see it to believe it. Call listing agent.